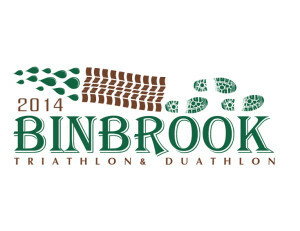 Thank you for registering to race with us in Binbrook! A big thank-you to Mat Reid and the Fighting Koalas for leading the volunteers charge this weekend! We are very excited about our partnership with Recharge With Milk and the Recharge With Milk Triathlon Series! Look for the Recharge with Milk Team at the finish line for your sample of chocolate milk to help you refuel and recover! Gravenhurst is quickly selling out! The Gravenhurst Sprint Triathlon is now sold out. There are 40 spots left for the Olympic Triathlon. There is no cap on the Give It A Tri or duathlons. The website will be temporarily down starting Friday evening and coming back online Saturday as we make some changes behind the scenes. Quick link – Get the full Woodstock Race Results. A crisp morning and 16 degree Celsius water temperatures out of the Pittock Reservoir soon gave way to some scorchingly fast racing which beautifully matched the best conditions of the year so far as we break out of such a brutal winter. 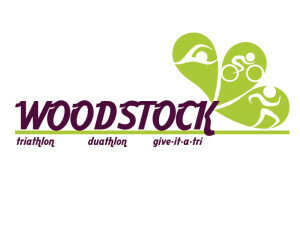 Thank you for registering to race with us at Woodstock! A very special thank-you to our volunteer recruiters, Jennifer Wright, Laura Wall, Janet Thompson and Balance Point Training. NEW in 2014 at Woodstock, MultiSport Canada will be offering Pasta Salad in single serving containers with Pretzels, Bananas, Oranges, Pop and Water. In order to ensure bike security every participant arriving to Woodstock race site will be stopped as they are initially entering transition and they will receive two (2) florescent bracelets. The first bracelet will be placed on the participant’s wrist and the second bracelet will be put on the participant’s bike. The two bracelets have matching numbers and in order to leave transition after the race is complete the participant must have both bracelets with the same matching number. You will be asked to show your bracelet on your wrist every time you enter transition. Water temperatures will be taken during race week on Tuesday through Friday mornings by the conservation authority and we will be posting them here on the Woodstock page shortly after receiving. We understand and appreciate with an early season race, there is concern with the water being cold for some athletes to comfortably or confidently swim in the lower temperatures. Therefore, on race day, our staff will be prepared to transfer athletes to a duathlon option for both the sprint and the give-it-a-try. It is not necessary to call our office before race day to make this switch, as we recommend you make it a game time decision. Thanks and looking forward to seeing you on race day!